For years I am sure you have heard from your dentist that you have to floss at least once a day. Yesterday US department of Health and Human Services came out silently with new daily health guidelines. Flossing was removed from those guidelines. Why? You may ask. The reason that they no longer listed flossing as a daily need is because there is not “strong evidence” about flossing as a necessary step in your daily life. Here at Arapahoe Dental Dr Harwood believes that flossing is a necessary step of your oral hygiene. One reason that they do not have strong evidence is because the majority of the public do not floss in the first place. Dr. Paylor would be the first to admit that he is not perfect with his daily flossing. 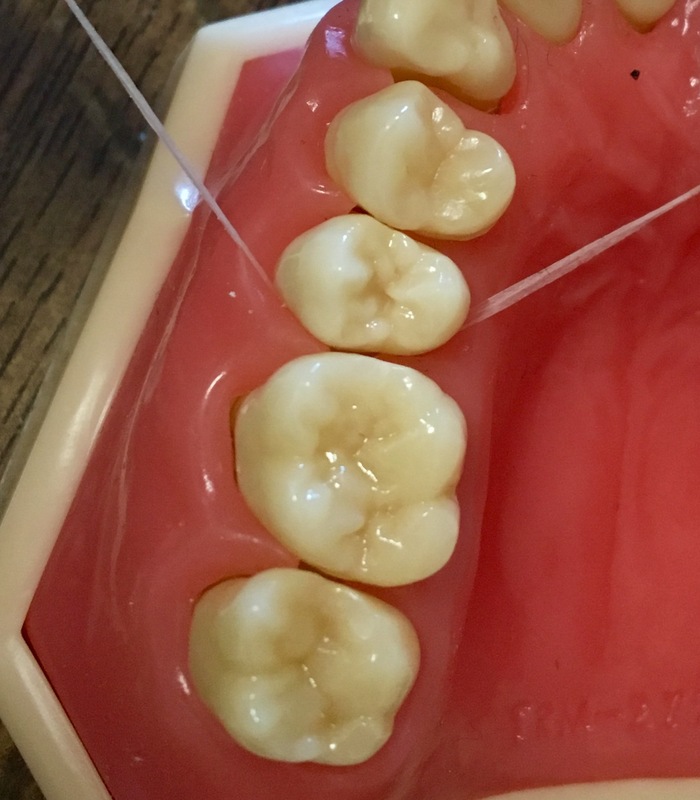 The other main reason that there is not strong evidence is that most people do not floss the correct way which will be demonstrated lower down on the page. There was a great article written in 2006 that showed that flossing done by a professional have lowered the incidence of cavities by 40%. It can be found here: Great Article! 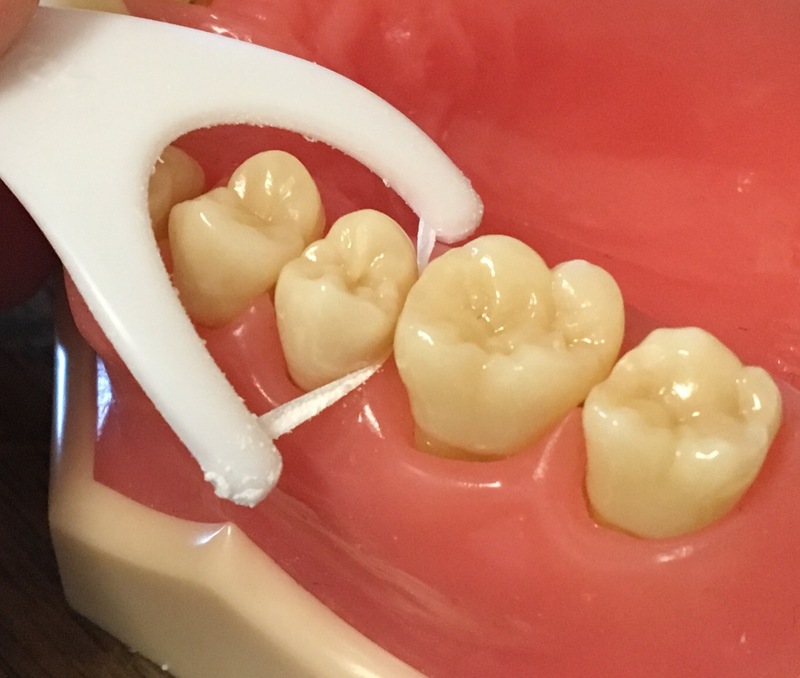 The best technique for flossing is to use actual floss or interdental flossers that have the horseshoe with floss in it. Most people just go between the teeth and pull out with barely even making contact with the tooth. This is not the best way to floss. 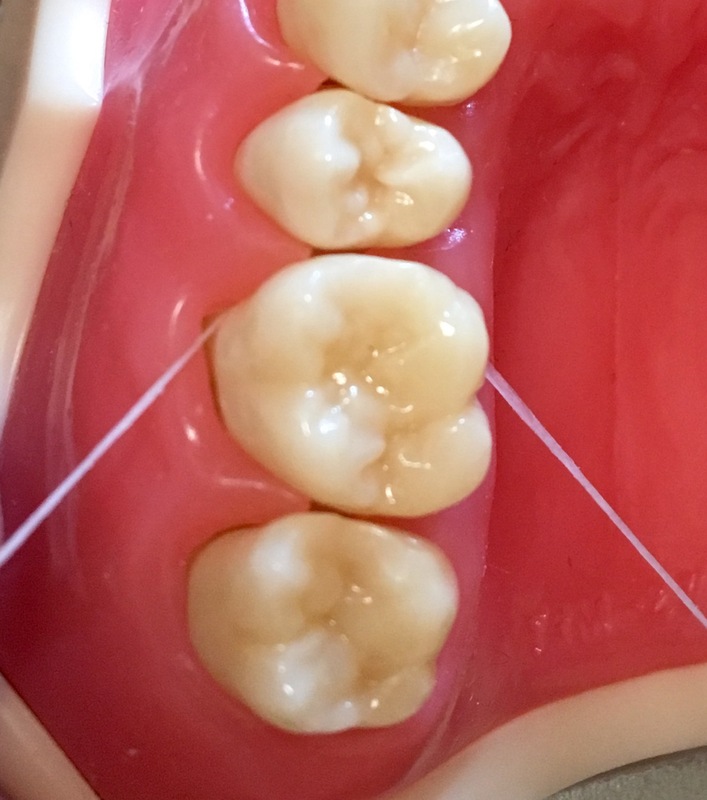 The proper technique is to hold the floss against each tooth forming a C and with pressure go up and down. So between each tooth you will be pulling the floss forward and pushing backwards. With and interdental flosser you will do the same by pushing back and forwards. The kind of floss doesn't matter. 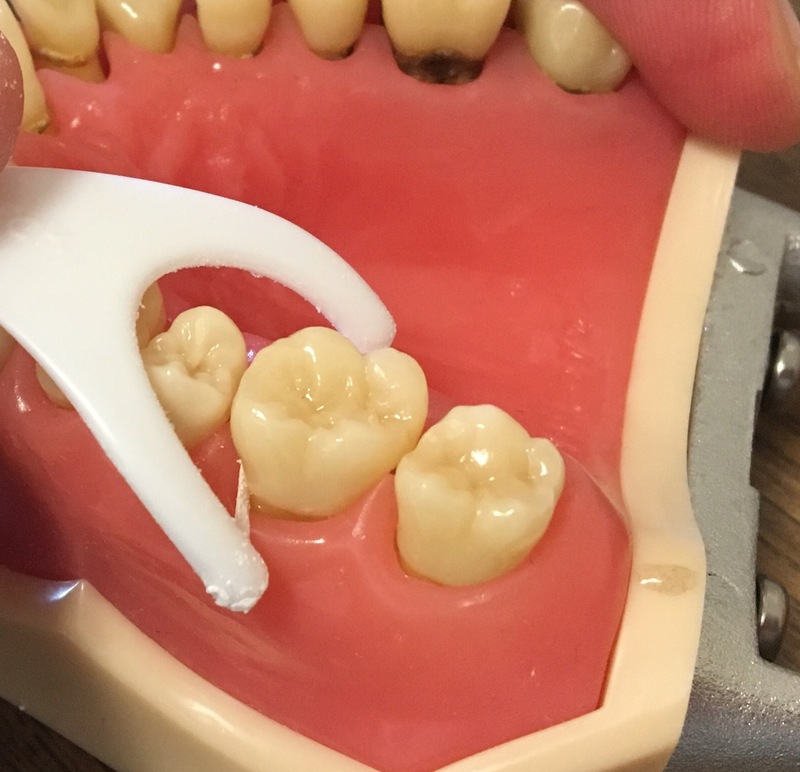 If you have trouble getting the floss in try Glide floss. Interdental brushes work well if you have receding gumlines and larger gaps in your teeth. For more information please refer to www.mouthhealthy.org . We hope to see you in soon and welcome all questions about flossing or anything else related to teeth or not.